Lately I've received some e-mails from readers asking me to show a picture of the Fashionwise HQ. 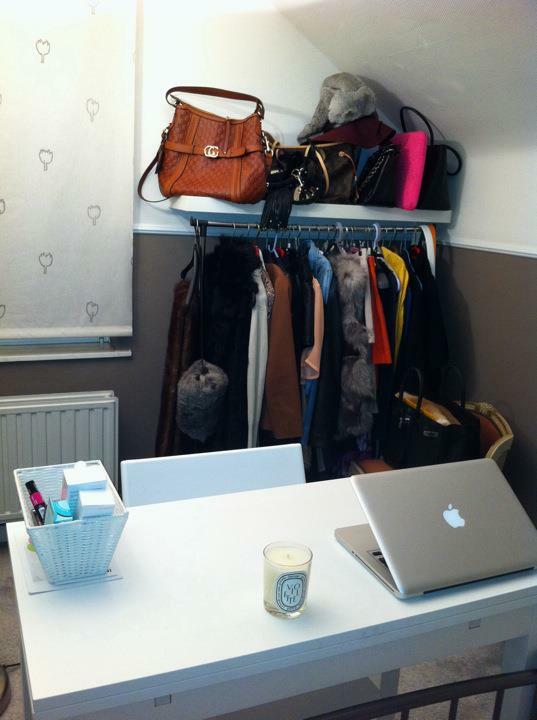 What's not on the picture : my closet, my make-up corner, a jewelry closet & an open wardrobe with my designer shoes. Looks fab! I have a candle too, they are so relaxing!